What was Britain like when we produced industrial quantities of goods? 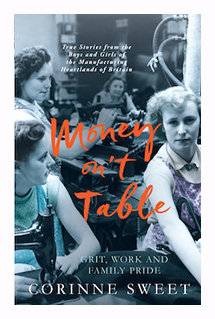 This book follows the lives of six young people who worked hard in Nottingham – the industrial heartland of Britain – during the 1930s to 1960s. We follow the true life tales of hardship, sacrifice, illness, disaster and love. The book particularly focuses on the Great British companies of Boots, Raleigh and Players. It’s packed with detail of young people forging new lives in a new Britain.